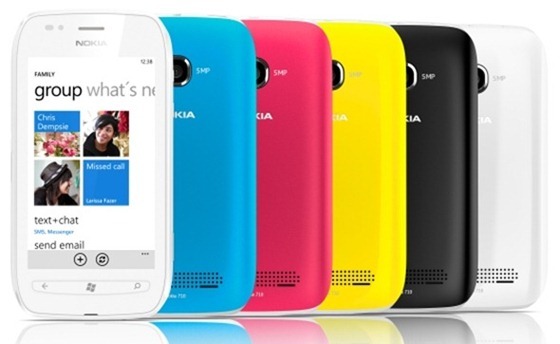 The phone all Windows Phone enthusiasts and die-hard Nokia fans were waiting for has finally arrived! Nokia has just announced two new Windows Phone-powered handsets: the Lumia 800 and the Lumia 710. You can read about both phones’ features, pricing and availability after the jump! 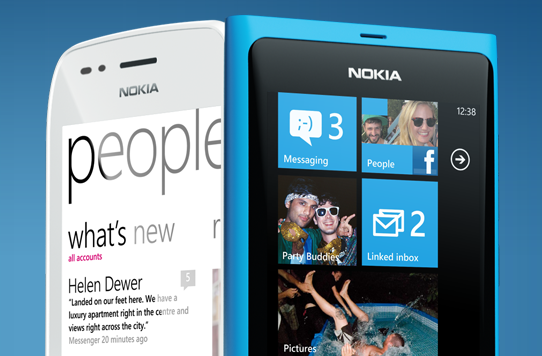 Both handsets – the Lumia 800 and 710 – are based on Windows Phone 7 (WP7). WP7 hasn’t truly caught mainstream attention yet, but, I think, the introduction of Nokia’s smartphones will go a long way in helping WP7 gain popularity among the general public. Nokia’s legendary hardware combined with a fast-growing platform like WP7 should and actually looks to be a match made in heaven. Let’s talk about the Nokia Lumia 800 first: it is powered by a single-core Qualcomm MSM8255 Snapdragon processor clocked at 1.4GHz, has 512MB of RAM and 16GB internal storage (along with free 25GB Windows Live SkyDrive cloud storage). On the front, you’ll find a beautiful 3.7” ClearBlack AMOLED display which has a resolution of 800×480. The Lumia 800 continues Nokia’s tradition of including high-quality cameras with their phones as this one comes with an 8 megapixel sensor with f/2.2 Carl Zeiss lens which takes amazing photos and records video at 30 frames-per-second 720p HD. 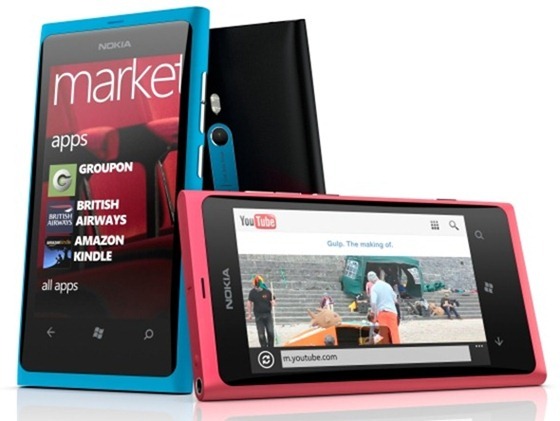 Lumia 800 be available in three colors: black, cyan and magenta. Connectivity features are the usual: 14.4mbps HSDPA, WiFi, GPS and Bluetooth 2.1. Lastly, it comes with a 1450mAh battery which, we hope, will be enough to last a day or two of moderate use. Now let’s take a look at the slightly lower-end Lumia 710: it is powered by the same single-core Snapdragon chip, 512MB of RAM as the Lumia 800 but gets a less powerful 5MP camera, lower quality LCD display – instead of ClearBlack AMOLED and smaller internal storage – 8GB instead of 16GB – and a smaller 1300mAH battery. Its body comes in either black or white but the back covers are replaceable with colors such as black, white, cyan, fuchsia and yellow. Both smartphones are powered by the latest version of Windows Phone OS i.e. 7.5 Mango; you can read about its features here. Nokia has included a few exclusive extra apps: Nokia Music with MixRadio streaming, Nokia Drive with free turn-by-turn navigation for almost 100 countries and an exclusive hub for ESPN Sports. The Nokia Lumia 800 and Lumia 710 can be pre-ordered right now for shipment sometime in November. Both smartphones will first reach France, Germany, Italy, UK, The Netherlands and Spain and then make their way to countries like Russia, Taiwan, Hong Kong, Singapore and India before end 2011. They will be available in more markets starting next year. Lumia 810 and Lumia 710 cost €420/$585 and €270/$375 without a contract (respectively). Nokia CEO Stephen Elop has categorically stated that these two phones are not coming to USA; however, the company will “introduce a portfolio of products” to USA in early 2012.